This is a Mantra which is recited while taking Tirth.Tirth is either water kept before a deity or a liquid called Panchamrutham made by mixing five ingredients - milk, yogurt, honey, jaggery and ghee. This offering is a part and parcel of all Hindu religious ceremonies and even day to day worship. Shri Mahalaxmi Devi is the Goddess of abundance in all things material as well as Spiritual. This is another powerful Wealth Mantra recited to gain the blessing of Goddess Mahalaxmi and enjoy all the benefits in life including material and spiritual. The practice of lighting a Deep before an image or idol of God is prevalent in almost every Hindu household all over the world. The Deep or Diya is either a small metal or earthen pot like utensil filled with edible oil like groundnut oil or edible refined oil or Ghee [clarified] butter. An Aartis or Prarthanas is normally recited in praise of which ever deity one is most attached to.The Diya symbolises light [ blessings of God ] coming into the household. This here is an Aarti in the Marathi language recited in praise of Pandurang which is another name for Vishnu. This here is short Stotra dedicated towards one of the most popular Hindu deities Vaishno Devi.Vaishno Devi is the mother Goddess. The devotees are spread all over the world. The main shrine is located in the mountains of Katra in the state of Jammu and Kashmir. This shrine located at an altitude of 5200 feet requires a climb of 14 kilometres. In spite of the long climb either on foot, horseback or palkhi it is the second most visited place of worship in India after Venkateswara Temple in Tirupathi. This Stotra is a call for peace and happiness and the erasing of sorrows. This is a short but beautifully composed Stotra of Sai Baba of Shirdi. This Stotra has been sent to me by reader Priya Sethi which I have translated into English. This is a Stotra which is said to give bliss and happiness. Dhoop called Incense in English is an integral part and parcel of the daily worship in the Hindu religion. The practice of lighting Dhoop before a deity goes back to the Vedic period. This practice involves reciting an Aarti while offering Dhoop in a traditional Pooja tray or a Spoon like utensil. Burning of Dhoop, which is made from natural ingredients like roots, wood and various types of flowers, purifies the entire atmosphere. The Spiritual significance is that it purifies the mind. This is one such Aarti in the Marathi language which is commonly recited in praise of Vitthal or Vishnu who is also called as Pandhariraya or the Lord of Pandharpur. What does Republic Day mean to you ? India celebrates its 62nd Republic Day on 26th January. A day for festivities, impressive parades, air displays and patriotic songs. A national holiday on which one feels proud of his nationality, culture and heritage. The entire atmosphere is surcharged with patriotism and heads are held high with pride. A day to make pledges. A day to remember with tears in your eyes the sacrifices made by the great men and women. The surcharged atmosphere lasts throughout the day. This is a very powerful Wealth Mantra which also gives good health and knowledge. Without Health no one can enjoy wealth and without knowledge one cannot know how to utilize the wealth. Hence this is a Mantra for all round prosperity and peace of mind. This mantra is dedicated to the Hindu Goddess Maheshwari.Maheshwari is one more name by which the Mother Goddess Parvati is known by. Worshipping by lighting small Karpoor or Camphor tablets before your favorite deities is an integral part and parcel of the Hindu religion. The Camphor is lit in ceremonial trays or ceremonial spoon like utensils. This is normally a short Aarti. It has been taught by religious preachers that reciting an Aarti while rotating Karpoor remover all the bad Karma, meaning all the negative energy. 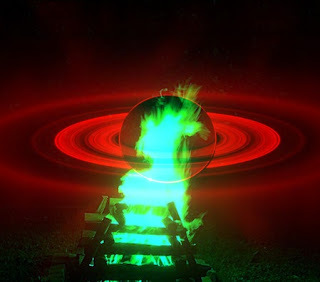 The burning of the Camphor is symbolic of this, it is believed that like the burning fire all the negativity in your body burns away. In December of 2009, I had interpreted a few Quatrains from the Prophecies of Nostradamus as referring to the illegal INDIAN FUNDS IN SWISS BANKS. As things have started spanning out, I think I have probably interpreted the key Quatrain correctly. Here is that Quatrain. This probably speaks about the unimaginable amount of Indian funds stashed in Swiss Banks. This post is in response to numerous mails I get from my non Indian readers, who find it difficult to pronounce the Attraction Mantras of Vashikaran and Mohini Vidhya. As I am unable to reply to all mail individually I have found these two interesting experiments which do not require the use of any Mantras or any of the supporting ingredients or specific dates according to the Hindu Calendar.. These experiments are from the Ananga Ranga. This is a Bhajan,a devotional song in poetic form which is recited as a Prarthana or Prayer dedicated towards Sai Baba of Shirdi. This Bhajan was composed by Sai Baba’s disciple, the composer Das Ganu alias Ganapat Sahasrabuddhe. This Bhajan composed in the Hindi/Urdu language calls upon Sai Baba to have a compassionate glance at his devotee, to the devotee Sai Baba is everything father, mother and brother. 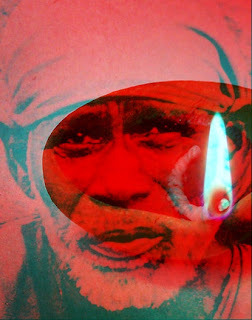 The Bhajan further says that the devotee does not know any other God, but Sai. This is one more short and sweet Prarthana or Prayer dedicated towards Sai Baba of Shirdi. This small prayer is a call to Sai Baba to look after the mind of his devotee and give him only good thoughts and not let his mind stray towards negative thinking. This prayer is originally in the Marathi language. Wikileaks Indian Swiss Funds - Investigation ? On the heels of the Wikileaks time bomb already ticking for the Indian looters having Swiss Bank accounts, the cover-up attempt by the Indian looters has came across an unexpected road block. The Supreme Court of India in the P.I.L.filed by Ram Jethmalani and others heaped scorn on the Indian Government. This was in response to the reluctance of the Government to publish the names of the Liechtenstein Bank account holders and also disclose other names in their possession. The Supreme Court slammed the Government for hiding behind mere technical details, this when the national wealth was being plundered. Rudolf Elmer a former Swiss Banker has handed over two Compact; Disks reportedly containing names of about 2,000 tax evaders worldwide, having illegal accounts in Swiss banks to Wikileaks founder Julian Assange. The very fact that they held a joint press conference and showed those Compact Disks indicates that Wikileaks is going to publish that list very soon. The Chaudah Mukhi Rudraksha or the fourteen faced Rudraksha stands for and represents Hanuman. Hanuman symbolizes infinite strength. In the Skanda Purana, Shiva told Skanda – The Chaudah Mukhi Rudraksha has appeared from his [Shiva’s] eyes. This is an excellent Rudraksha, the wearing of which frees one from all difficulties. All diseases are eradicated and all the sins from past lives are erased.Shivji further told Skanda – That he blesses and is pleased with those who wear this Rudraksha on their body. The Terah Mukhi Rudraksha or the Rudraksha having thirteen faces also known as the Trayodash Mukhi Rudraksha represents the King of the Gods Indra Dev. In the Skanda Purana Shiva tells Skanda that - the wearer of this Rudraksha has all his wishes fulfilled. The wearer acquires Siddhi [mastery] over all the chemicals. All the past life sins committed by the wearer are eradicated. The Barah Mukhi or the twelve faced Rudraksha symbolizes Surya Bhagwan or the Sun God. The person who wears this Rudraksha around his neck or forearms does not have any fear from fire and thieves. He is not in harm of danger from wild animals like tigers and snakes and even domestic animals like dogs and bulls. If this Rudraksha is worn in the ears then it eradicates past life sins like murder, theft and the killing of cows. The wearer of the Barah Mukhi Rudraksha is also benefited by all kinds of happiness and the he incurs the blessings of Bhagwan Vishnu. The wearer also benefits by finding employment and advancing in his chosen pursuit. The eleven faced or the Gyarah Mukhi Rudraksha is said to represent the Eka Dasa Rudra. The Eka Dasa Rudras are the eleven manifestations of Shiva - Mahadeva, Shiva, Maha Rudra, Shankara, Neelalohita, Eshana Rudra, Vijaya Rudra, Bheema Rudra, Devadeva, Bhavodbhava and Adityatmaka Srirudra. The ten faced or the Dus Mukhi Rudraksha is said to symbolize Vishnu, the Protector as Janardan. Janardan is one of the names by which Vishnu is known as Janardan is said to be the one who grants all kinds of wealth and also the ultimate liberation in life. He is also said to be the annihilator of evil forces. In the Bhagavad-Gita Shri.Krishna is often called by this name by Arjuna. The Nau Mukhi or the nine faced Rudraksha is called as being the symbol of ‘Kapal Bhairav’. The skull which symbolizes death through destruction. This is one of the forms of Bhairav. This Rudraksha also symbolizes Nau Durga, the Universal Mother. Hence it is considered as the symbol of the nine Goddesses who are the manifestations of Durga. This is the most important Rudraksha to eradicate past life Karma or the sins committed in one’s past lives. This Rudraksha is said to erase an infinite number of past life sins. The Aath Mukhi Rudraksha or the Rudraksha which has eight faces stands for and symbolizes Shri.Ganesha the Hindu God of all beginnings and Kaal Bhairav, symbolized as the Ever-Existent Time. As this Rudraksha stands for Kaal Bhairav it is considered to be very powerful in respect of problems arising from enemies, this Rudraksha helps in winning over enemies. This Rudraksha also symbolizes Batuk Bhairav [the shorter manifestation of Bhairav or Bhairav as a child], it ensures a long life. and Kratu are considered as the ones who bring down to Earth the divine knowledge and powers to aid humans in the process of evolution. The Che or six faced Rudraksha is said to represent the second son of Shiva, Kartikeya or Murugan, the name by which he is widely worshipped in Tamil Nadu. This Rudraksha is considered useful in acquiring Siddhi [ mastery ] in religious or paranormal fields. This Rudraksha is also useful in aiding business and commerce related activities. The Panch Mukhi or the five faced Rudraksha represents Kaalagni or the omnipresent wheel of Time. This is the Rudra Swaroop or the fierce manifestation of Shiva, as none can escape the clutches of Time, which spares none. It also symbolizes Shiva as the Ever-Existent Universal Father. The Char Mukhi Rudraksha is dedicated towards the Creator Brahma, and it symbolizes the qualities of Brahma. Those who wear this Rudraksha on their body are said to invoke the blessings of Brahma. This Rudraksha has been recommended for those who study the religious scriptures like the Vedas, the Puranas and are students of the language Sanskrit. Doing so increases their popularity and fame in the field of religious studies. The Teen Mukhi or three faced Rudraksha is considered as the symbol of the Hindu Holy or Divine Trinity. The Hindu Holy Trinity comprises of the Creator, the Protector and the Destroyer or Brahma, Vishnu and Mahesh. The Do Mukhi or the two faced Rudraksha is said to symbolize the union of Shiv and Shakti. This is a very important Rudraksha for those who are practitioners of Shaktism. Half of creation is male and half female. In everyday life one half of the household is feminine in nature. This Rudraksha is said to free one from the past sin of the killing of cows, which is said to be in Hinduism as one of the major sins. The Ek Mukhi or single faced Rudraksha is said to be the complete symbol of Shiva. This Rudraksha is considered to be extremely auspicious and pure. This Rudraksha does not have an organic hole. This is a rare Rudraksha and it is believed that even a look at this Rudraksha removes negativity from one’s mental framework. The Rudraksha Beads have since time immemorial been a part and parcel of the Hindu Religion. The ancient Hindu religious Scriptures including the Shiv Purana, the Ling Purana and the Padma Purana have in detail described the qualities and the numerous benefits of wearing the Rudraksha Beads on one’s body.Rudraksha when translated into English means ‘the eye of Shiva’. The Rudraksha is a large brownish or wood colored seed of the Rudraksha tree which is normally found in the Himalayan region of India and Nepal. These seeds are normally available having 1 to 14 faces.Rudraksha seeds having over 14 faces and upto 21 faces are extremely rare. Claims are made about some seeds having upto 108 faces. 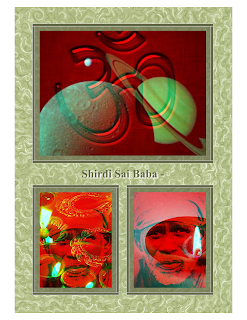 Sai Baba of Shirdi is arguably the most popular saint in India. With millions of devotees spread all over India and the world, he is easily the most worshipped saint in India.Shirdi where Sai Baba spent most of his known life is visited by millions of devotees every year. The early part of Sai Baba life before he arrived in Shirdi is unknown. The purpose of his decent on Earth was to help people evolve two of the most commonly used phrases used by Sai Baba caught my eye. These phrases are worth pondering over deeply. Century 6 of the Centuries of Nostradamus is crucial as far as the Nehru/Gandhi family and India is concerned. The astonishing description of INDIRA AND RAJIV GANDHI ,and their assassinations is a clear pointer to the accuracy of these Prophecies. This is one more Aarti recited in praise of Dattatreya. Dattatreya is the Universal being, who also contains in him the Hindu divine trinity of Brahma, Vishnu and Mahesh. This Aarti in the Marathi language describes Dattatreya as the one with the true divine knowledge, who will destroy the false curtain of Maya which engulfs the ego. The Aarti also points out those who were the Avatars of Dattatreya like Shripad Shri.Vallabh and Narasimha Saraswati who are said to be the first two Avatars. Shri.Swami Samarth is said to be the third. The worship of Dattatreya the Aarti says is a step further in one’s evolution. This is an important Aarti and popular Aarti of Sai Baba of Shirdi. This Aarti called Pancharti because while reciting this Aarti Sai Baba is worshipped by a Pancharti, which is a tray having five oil lamps joined together. All the five lamps have cotton wicks to light the lamps. The devotee moves this tray having the five lamps in a clockwise rotation in front of an image or idol of Sai Baba. This Aarti is recited mostly in the afternoon. The Aarti is a call to the devotees to wake up [this should be taken in the Spiritual sense]. To make their mind stable, and concentrate on Sai Baba [as the Universal being]. This Aarti in the Marathi language, the English translation is also given. This one here is one more popular Aarti in the Marathi language which is recited in praise of Vishnu. This is the third Aarti in the Marathi language recited in praise of Sant Muktai or Muktabai, which I have translated into English. 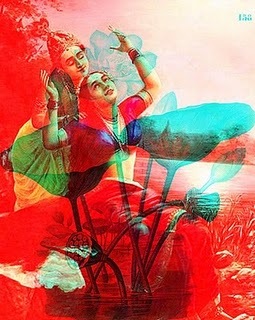 Muktai is the mother of the Varkaris, who see her as the Mother Goddess and the mother of the Saints. This is one more Aarti in the Marathi language recited in praise of Sant Muktabai which I have translated into English. Sant Muktabai or Muktai is a very influential personality in the Varkari Sampradaya of Maharashtra. She is regarded as the Universal mother or Adimata in the Varkari Sampradaya,and her brothers Nivruttinath, Sopandev and Sant Dnyaneshwar, as the manifestations of Brahma,Vishnu and Mahesh. Her Abhangs and Aartis an integral and important part of the day to day worship of the Varkaris. These are two Indian home remedies which are use in curing the illness of Kidney-Stones. These are two different kinds of remedies, which can be tried either together or individually. The ingredients used are the types which are commonly found. Kindly note that these remedies are given for information purposes only, and not as a replacement for any kind of treatment. A lot of such easy to practice home remedies are practiced in India making the use of commonly found ingredients for good health and Wellbeing. I am giving here two Indian home remedies for the common problem of Knee pain. These remedies make the use of common India spices used in cooking. These remedies are useful in relieving Knee pain. 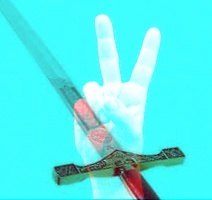 These are two separate remedies, they can be tried individually as well as together. Please note that this has been given for information purposes only and not as a replacement for any existing treatment. Numerous such remedies are used in India making the use of common herbs and cooking ingredient's for good health and Wellbeing. This is another Shaabri Health Mantra which has prescribed for the treatment of Scorpion sting. For treatment a small branch of the Lime tree with some leaves has to be lightly moved over the affected part of the body of the person from Scorpion Sting. Doing this is said to remove the poison resulting from the Scorpion sting. This is a very powerful Mantra to increase all round mental growth and intelligence. This is also the Gayatri Mantra with the word ‘Shreem’ ‘श्रीं ‘added at the end of it 3 times. ‘श्रीं’ or Shreem is the Beej mantra of Mahalaxmi. - श् + र + ई.This Beej mantra is very powerful as it contains cosmic frequencies of all round growth mental and spiritual. This is said to be a powerful Health Mantra to remove even the most powerful kind of poison. This is the Gayatri Mantra except that the word ‘हूँ’ or ‘hum’ is added to it as the last letter. The person desiring to use this mantra should conduct a Havan comprising of wood sticks from the Peepal [Sacred Fig] and Chandan [Sandalwood] trees. The ash of this Havan should be applied to that part of the body of that person who has been poisoned. The ash should be applied while reciting this mantra and meditation on the Goddess. This is the Prarthana or Prayer dedicated towards Sai Baba of Shirdi which is recited last, that is after the completion of all the Aartis and Prarthanas. This is a prayer of forgiveness. The first 4 lines have been adapted from the Shiv Manas Pooja composed by Adi Shankara,the devotees have replaced Mahedev Shiv Shambo by Shri.Prabhu Sainath. This is a small but excellent Prarthana or Prayer from the Rig Veda. This Prayer is suitable for who find it difficult to recite long and difficult to pronounce Chalisas and Stotras. This small verse can be recited early in the morning after having your bath. Mahalaxmi is also known as Usha, the meaning of Usha can be taken to be Dawn or Sunrise. The Goddess Gauri is the consort of Shiva. She is considered as the energy behind Shiva in Shaktism.Gauri is said to have a Golden complexion and is attired in pure white clothes. She is considered as the epitome of purity, fertility and virtue. Gauri is also the mother of Ganesha and Karttikeya.Gauri is widely worshipped by women for a blissful marriage and also by women who want a suitable husband. The Mangala Gouri celebrations are very popular amongst the women of Maharashtra. These celebrations are done on any Tuesday in the Hindu lunar month of Shravan. Newly married women install clay idols of the Goddess and Shivlings in their homes. They pray to these idols for a happy and prosperous married life. The next day Visarjan[विसर्जन] [immersion in water] of the idols is done. This Pooja is done during the first five years of the married life. Shri.Gajanan Maharaj the great saint of Maharashtra spent most of his known life in the town of Shegaon in Buldhana District. It is here that he took Samadhi in the year 8 September 1910. Numerous temples are dedicated to Gajanan Maharaj all over Maharashtra. The main Shrine is located at Shegaon. ‘Gani Gan Ganat Bote ‘[गणि गण गणात बोते] is the Mahamantra of Gajanan Maharaj. The meaning of this Mantra is none is different from God, God exists in everyone and everyone exists in God.